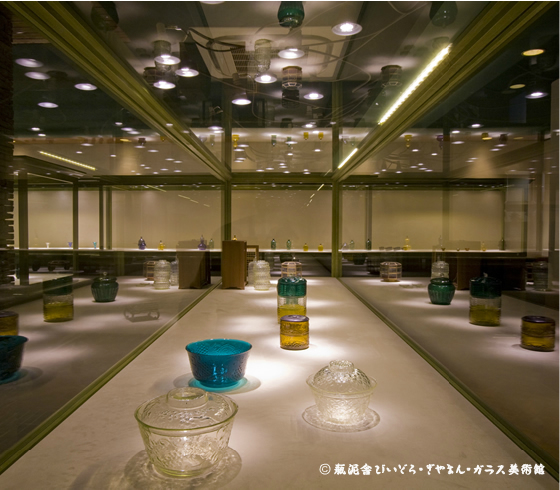 Bindeisha Vidro-Diamante-Glass Museum houses a collection of exquisite Japanese glass show-cased in special, seasonal exhibitions. Two such exhibits are held each year. 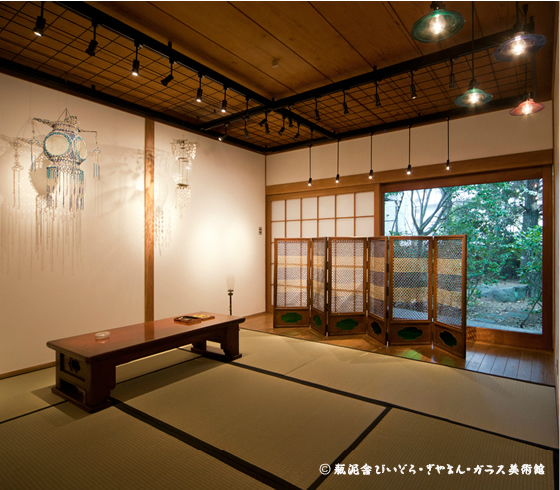 Rare and exquisite Vidro and Diamante pieces from the Edo period form the core of each exhibit, but visitors will also find examples of Japanese glass from the Meiji, Taisho, and even the middle-Showa periods. 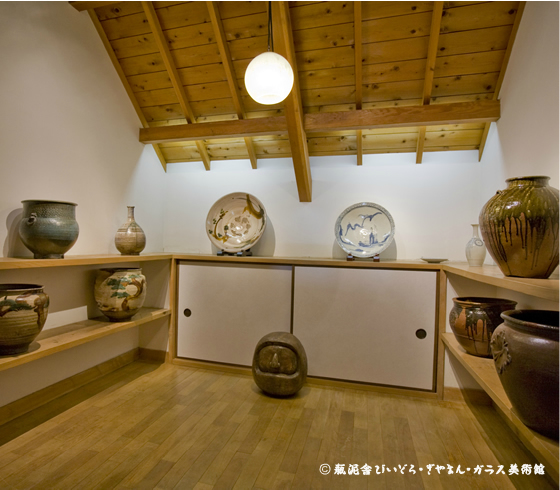 Exhibits allow visitors to see changes in the forms and functions of Japanese glassware throughout the history of glass making in Japan. 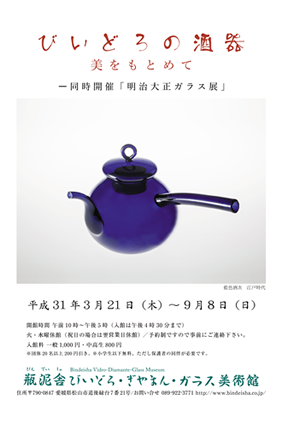 Bindeisha Vidro-Diamante-Glass Museum makes its home in the city of Matsuyama, Ehime prefecture on the island of Shikoku. 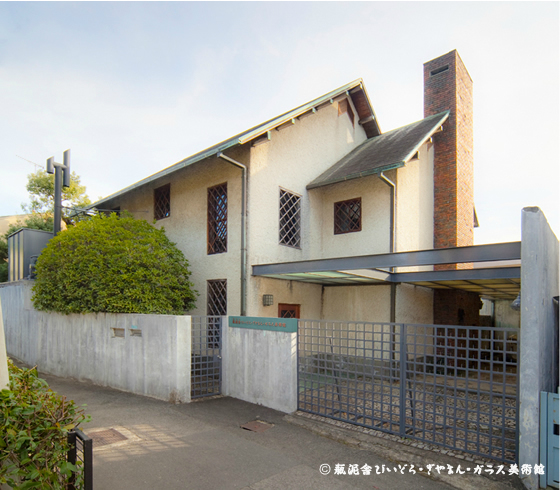 The city is well-known for Dogo Onsen, one of the oldest hot spring spas in Japan, and as the setting for Soseki Natsume’s “Botchan” and Ryotaro Shiba’s “Clouds above the hill.” After sating your literary interests in Matsuyama and refreshing yourself in the spa at Dogo Onsen, please visit us for what we think will be an introduction to an extraordinary and new world. All visits are by reservation only. Please contact the Museum prior to your visit. The Museum is closed on Tuesdays and Wednesday. COPYRIGHT (C) BINDEISHA, ALL RIGHTS RESERVED.